Awards 2014: Best smartphones and tablets revealed | What Hi-Fi? If you're in the market for a new smartphone or tablet at this point in time, What Hi-Fi? Sound and Vision can now reveal the four mobile devices – two smartphones and two tablets – to be named Award winners for 2014. The competition has been ever-more intense and the standard, when it comes to watching video or listening to music while on the move, has been raised even further. It means, therefore, that these Award-winners are highly deserving. 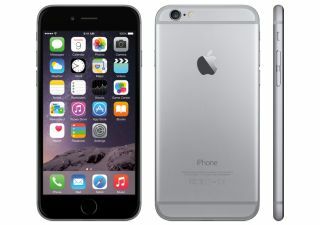 Last year in the smartphone category, we had just one winner in the form of the Apple iPhone 5s. This year, however, we expanded further with two smartphone winners. And the Cupertino giant has repeated its success. The iPhone 6 might have only been available for a few weeks now, but it has already lived up to its billing as "the best iPhone to date" after walking off with our Award for the Best phone up to 5in – plus the Smartphone Product of the Year title. And for those among you who are looking for a handset that's a little larger, our Best smartphone 5in+ in 2014 is the Sony Xperia Z3 – a flagship smartphone that arrived just five months after the Z2 and offering the "best of Sony" in a smartphone. Now moving onto more larger devices altogether and the tablets category. With improvements across the board to note when it arrived towards the end of 2013, the iPad Air proved itself to be a stunning piece of technology that is an absolute joy to use. And what that has led to is another Award for Apple. The 16GB version is our Product of the Year in our tablet category and also claims the title of Best tablet over 8in, with the Cupertino brand delivering a leaner, meaner machine when compared to its four predecessors. But that's not to say that Android has been left behind in this category, because – not for the first time – we can reveal that the Google Nexus 7 has secured a gong as the Best tablet up to 8in. It packs a lot of punch for an attractive price.